The moisture of the converter sludge after dehydration is 27%~30%, which is a kind of black muddy with high alkali content. The main components are iron oxide, lime and silica. The dust yield of converter steelmaking is about 10~30 kg/t which means there are a lot of converter sludges in the process as well. The converter sludge is difficult to settle when the content of alkaline substances is low (15%~20%). When the content is high (35%~50%), the viscosity of the sludge will increase sharply, and it is difficult to dehydrate. This makes the converter sludge a hard waste to handle. The converter sludge is affected by the change of smelting conditions leads to an unstable composition. On the other hand, the converter sludge has the characteristics of high surface energy, large specific surface area, high surface roughness, fine and uniform particle size and high surface activity, which makes the converter sludge prone to redox reaction when piled up. This also increases the difficulty of handling the converter sludge to some extent. It is difficult to find an immobilized way for the harmless treatment of converter sludge. At present, the treatment and disposal of converter sludge are mainly based on sludge resource utilization. The sludge resource utilization means that the sludge is appropriately treated and then changed from waste to usable resources. There are three main ways for conventional resource utilization. 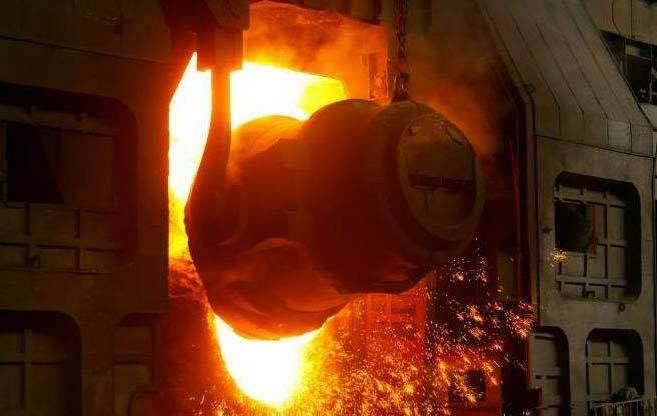 In the blast furnace ironmaking process, according to the characteristics of rich iron and calcium oxide in the converter sludge, the converter sludge and the lime powder are mixed and matured, and the moisture content of the converter sludge is reduced to 3% to 11%. Then, put 160~200 kg to each ton of the sintering material. It is used as one kind of sintering ingredient. replacing or partially replacing the iron-containing raw material, thereby reducing the production cost and saving the mineral resources. 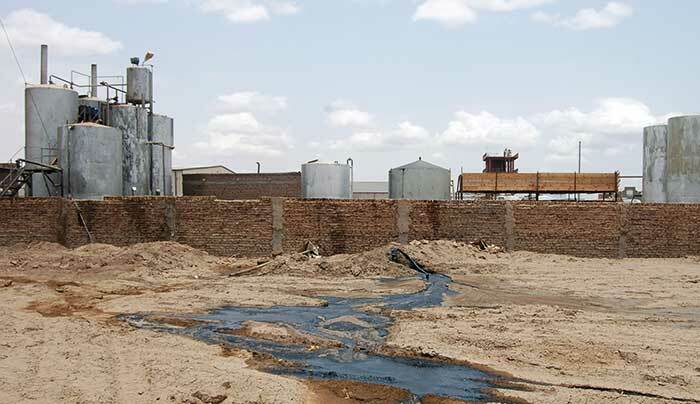 Reasonable use of converter sludge has good economic, environmental and social benefits. 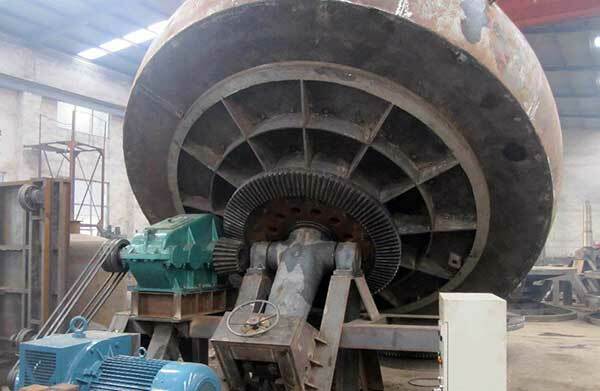 The statistical results show that the utilization of each ton of converter sludge can replace about 740 kg of iron ore, 150 kg of limestone, 33 kg of manganese ore and 37 kg of sintered fuel. When the converter sludge is directly used as a sintering material, the key is how to eliminate the viscosity of the converter sludge, how to reduce its moisture, how to improve its dispersion granulation performance, and then use its high iron content to save resources. That is to eliminate “one high and one low (high moisture, low granulation performance)”, comprehensive utilization of “one high (high iron content)”. The cold briquette process is using the converter sludge is mixed with cement and other binders for mixing and grinding, and the use the briquette equipment to make the briquette, after drying get the sludge briquette. The treated sludge is made into a ball shape by a roller briquetting press or a disc pelletizer, and then is fixed by a medium-temperature baking, high-temperature sintering, carbonation, cement curing or long-term natural stacking curing. After consolidation to a certain strength, return to the converter for smelting. Metallized briquette process is to mix the converter sludge and gas-ash in a certain proportion, fully consider the complementary characteristics of the two metallurgical wastes, and uniformly mix the materials. After wetting, add the binder to the disc pelletizer to make the briquette or mix the raw with the binder in a mixer then use the roller briquetting press to make the briquette. After low temperature roasting and drying at 250 °C, it enters the rotary kiln for solid state reduction to obtain metallized briquettes. It makes full use of the components in the sludge and removes harmful elements such as lead and zinc at high temperature. The metallized pellets produced under the process conditions have a certain mechanical strength and a very high metal content, which are suitable for the production requirements of the ironmaking process. Roller briquetting press or disc pelletizer? The disc pelletizer is relatively mature in equipment cost and production technology, but the briquettes produced is with high moisture, and the subsequent drying process consumes a lot of energy. The process generally uses bentonite as a binder. After direct reduction, most of the bentonite remain in the briquettes which reduce the quality of the product; at the same time, the disc pelletizer uses a narrow range of raw materials and low yield. The equipment cost and maintenance cost of the roller briquetting press is slightly higher, but the organic binder can be used in the briquette making process. The organic binder can provide partial heat during the combustion process, the combustion products are less, which will not affect the direct reduction briquette quality. Converter sludge resource treatment is not only conducive to environmental protection, but also recovers valuable iron resources, has good economic, environmental and social benefits, and has broad application prospects. In the process of resource utilization, dealing with the problem of “one high and one low (high water content, low granulation performance)”; make good use of the “one high (high iron content)”; through process improvement and ratio adjustment to avoid the impact on production process and product quality during the process of resource utilization is the key to the utilization of converter sludge resources.